November 2017 ~ Ahmed AbouZaid! 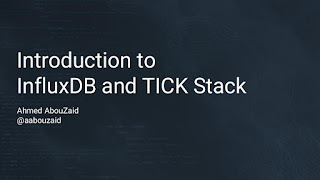 Introduction to InfluxDB and TICK Stack - Presentation. Last week in CrossEngage Academy we had another session. This time it was by me, about my favorite stack so far (after using it for 2 years it's still! 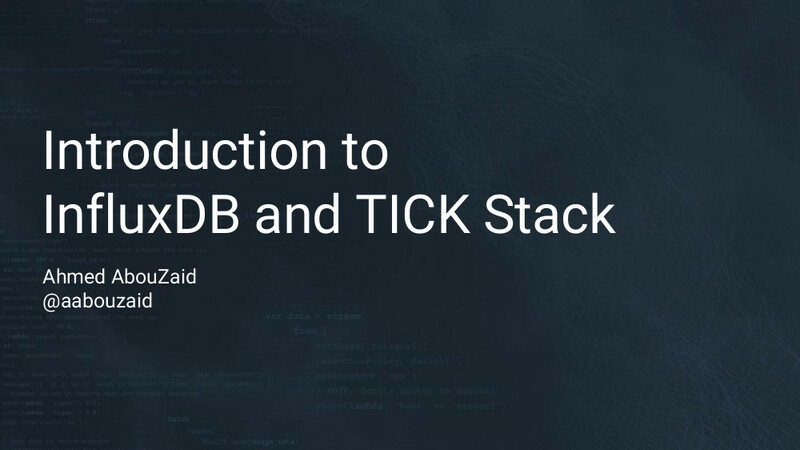 ), InfluxDB and TICK Stack!